The Porsche Panamera is an incredible car - so incredible that we named it Business Insider's 2017 Car of the Year. The Panamera in Turbo trim is monumental: There's a stonking twin-turbocharged, 4.0-liter V8 under the hood, cranking out 550 horsepower. But behind that motor is a cabin of unparalleled luxury. For those who want it all, the Panamera Turbo doesn't disappoint. But it will cost you more than $150,000. That's a rich sticker, but for about half the price you can get your hands on even more power. It won't be German power - it will be Detroit oomph. And it will have a Cadillac badge. 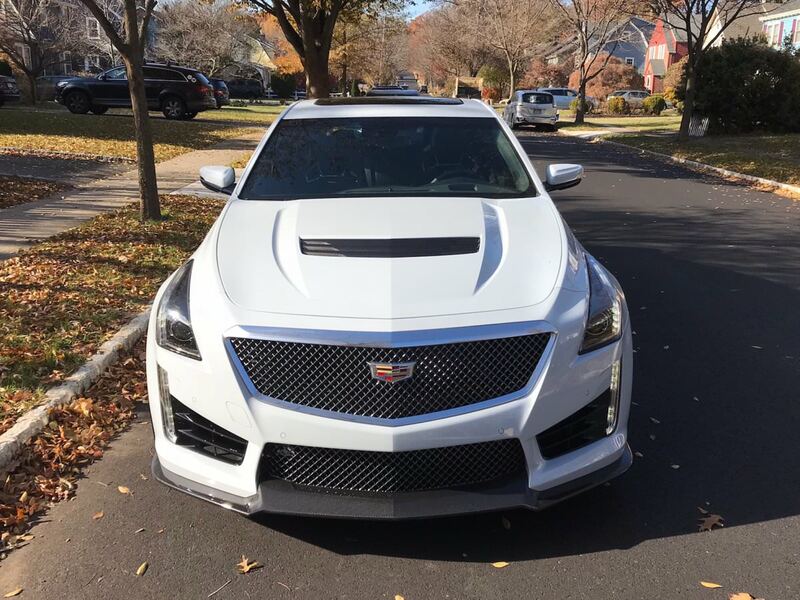 The CTS-V is probably my favorite high-performance four-door on Earth. If you like the Corvette Z06 and its 6.2-liter, 650-horsepower V8 widowmaker, the CTS-V has the same powerplant, just tuned down by 10 horses, to 640. Let's call the comparison a showdown between perhaps the greatest sedan in existence and the extreme value proposition. Read on to see who wins. The "V" cars are Caddy's answer to high-performance versions of European sports sedans: BMW's M Sports, Mercedes-AMGs, and the Audi RS. And, of course, dedicated high-end rides such as the Panamera. It's tough to climb much the General Motors lineup than the CTS-V, however. With the Z06 and forthcoming ZR1 'Vettes, you get mountains of power but no back seats, and the flagship CT6 Caddy doesn't yet come in V trim. I will at this point acknowledge that one might not be cross-shopping a CTS-V and a Panamera Turbo. But then again, a lot of folks don't think they should cross-shop a Z06 and, say, a Ferrari 488. That doesn't mean they shouldn't. Read more on Business Insider. « 2018 Cadillac CTS-V Glacier Metallic Edition: A Sort-Of 115th Birthday Product!